WE’RE HIRING – do our latest vacancies tick your boxes? 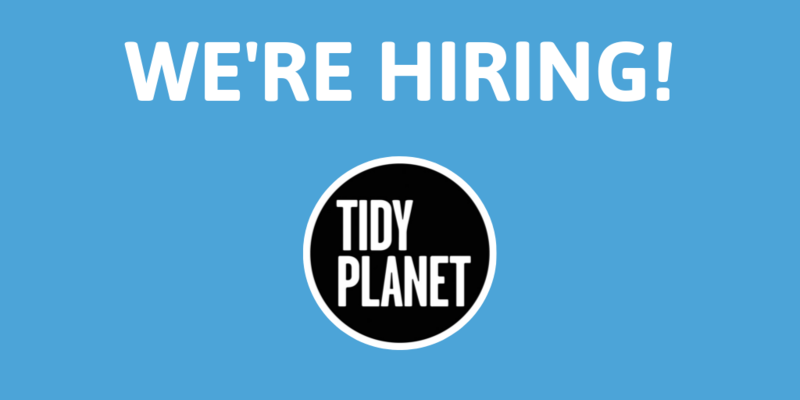 We have three job roles which need filling at Tidy Planet – project engineer, site service engineer and field service engineer. Could they offer the opportunity you’ve been searching for within the waste and recycling industry? So, about us… In a nutshell, we’re leaders in the field of recycling and renewable energy innovation and solutions. We supply composting and Waste-to-Energy equipment to major national and global blue-chip organisations, helping them to streamline and optimise their organic waste management operations. Some major orders and a very positive business outlook mean we’re looking to invest in an engineering team that’s capable of servicing our growing client needs – both in the UK and abroad. We’re on the lookout for a project engineer to be responsible for all the engineering and technical disciplines that our projects involve. Day-to-day, you’ll schedule, plan, forecast, resource and manage all the technical and administrative activities – ensuring project accuracy and quality from conception to completion. Based in Macclesfield – and reporting directly to senior managers – you’ll be working with UK and international clients and may be required to travel abroad on occasion. As a site service engineer at our client’s Waste-to-Energy facility at Gatwick Airport, you’ll be acting as the face of the company. You’ll also be responsible for the maintenance and servicing of the equipment at the site, comprising A range of commercial-scale processing and energy-generation equipment including – generators, drying systems, shredders, balers, filtration systems, bulk handling equipment, plus biomass and gas heat generation systems. – Flexible working approach and prepared to work outside of normal hours if required. – Solve technical equipment problems. The field service engineer role will be based at our HQ in Macclesfield, but will work across the UK and occasionally abroad too. You’ll be responsible for the installation, commissioning and servicing of our technical equipment, including – generators, drying and dewatering systems, shredders, balers, bulk handling equipment, biomass and gas heat generation systems, In Vessel Composters and filtration systems. – Willingness to travel overseas when required. – Wire machinery to rectify any electrical issues. If any of these roles sound like they’ve got your name on it, then we’d love to hear from you! Please send your CV and cover letter to Julie@tidyplanet.co.uk – applications close on 30th April 2019.